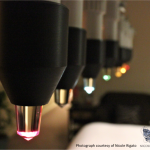 This profoundly powerful healing system consists of a bank of seven beautiful coloured lights that are positioned over the body. These lights are aligned with the 7 major Chakras and pulsate through specifically programmed clear quartz crystals. The frequency of the lights is designed to clear, heal, rebalance, harmonise and energise each of the Chakras. The Crystal Light Bed was designed by the divine beings that work through John of God at the Casa de Dom Inacio in Brazil. The Crystal Light Bed can create deep healing on all levels; physical, emotional and spiritual. What issues can the Crystal Light bed help with? Your therapist will ask you to remove your shoes and lie fully clothed on a massage table. The bank of lights is positioned above you and each coloured light is aligned with your chakras or energy centres. Your eyes are covered and the lights switched off. The pulsing of the lights through the crystals may create sensations in the body including tingles, gentle pulsations or waves of energy. 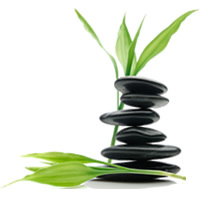 Most people find it is a deeply relaxing and nurturing experience. Some people may experience discomfort as energy is cleared and released. This usually passes quickly. Others may fall asleep or go into a deep state of meditation. Some may not be aware of anything. At the beginning of the session your therapist will guide into a relaxed state and then leave you to experience the session. At the end of the session your therapist will return and gently guide you back to awareness. The 60 minute sessions include a brief consultation about your current issues and your intentions for the session. What benefits might I receive? There is no limit to the number of sessions you can have with the Crystal Light Bed. Most people find that a session every two weeks is beneficial. If you are unwell or extremely stressed a daily session can create profound change. “Thank you for the awe inspiring journey Saturday afternoon. I say journey as I felt I was on a several hour journey which I wanted to never end. From Mountain tops to a crystal age, the most magnificent crystals which irradiated prisms of colour of all the colours of the rainbow. And so much more that my poor brain can’t grasp today. My entire body was pulsating with these colours. I was also exceptionally lucky to experience a beautiful indigo coloured tunnel of clearing over the third eye area. As you aware every time I proceed with my intention to experience the crystal bed I have had the most unexplainable and excruciating headaches directly over my eye area. It actually got to a point after sensing a link that I would try to book the bed on the same day – hoping for a cancellation, so that I wouldn’t have to endure a week of headaches as was my first experience. Funnily enough the minute I entered your clinic on both occasions they disappeared. I also experienced a very short but profound magnification of energy which started in the centre of my body and irradiated outwards and outwards and outwards. A beautifully blissful source like connection. 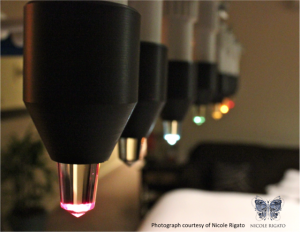 Who are our Crystal Light Bed practitioners?